Now only €14.99 for a limited time! Grab 50% off a Pre-NCT Inspection now & you have until Feb. 19th, 2015 to redeem the inspection in our garage. 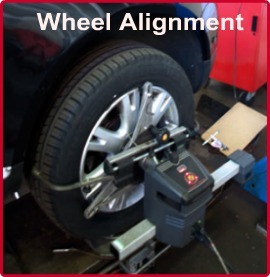 We will check your vehicle from head to toe, including the 26 items listed below to give you peace of mind before the NCT Test and save you money on re-testing. This is a limited offer and only applies to private vehicles. This offer does not apply to vehicles such as taxis. Pre-purchase of the offer is required now while the offer is still available … and you must redeem the offer at Cork Auto Services by 19th February, 2015. You can purchase the offer now by clicking on the BUY NOW button. 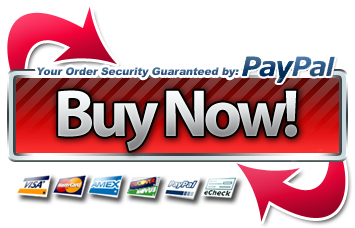 You will be directed to a secure Paypal payment page to grab your discount. You do not need a Paypal account and should see an option to use your Cr. Card without having or opening a Paypal account. Full details of what is included in your Pre NCT Inspection is listed below. Don’t forget to call us once you have purchased the offer to book in your vehicle for the inspection.. call us on 087- 2400479 to speak to Chris to arrange your inspection and retain your Paypal receipt for proof of purchase. 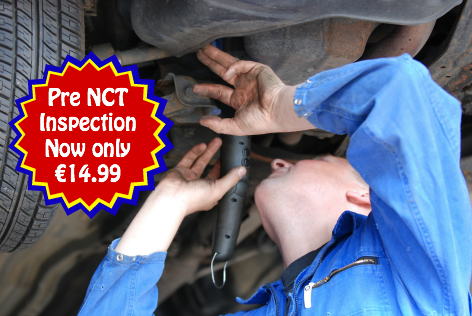 GRAB YOUR 50% OFF Pre-NCT INSPECTION NOW. 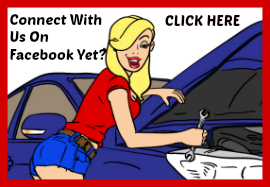 If you have any problems please contact us on: 087 – 2400479 and mention the Facebook 50% off Pre NCT offer so we can apply the discount for you. 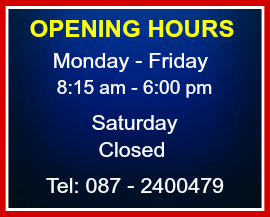 Please note… Offer must be redeemed at Cork Auto Services by 19th February, 2015. Offer for private vehicles only, does not apply to vehicles such as taxis. You must pay for the offer to claim it before the expiry date. Offer must be redeemed at Cork Auto Services by 19th February, 2015. Proof of payment for the offer must be produced on the day of inspection, so please print or retain your Paypal receipt for proof of purchase.